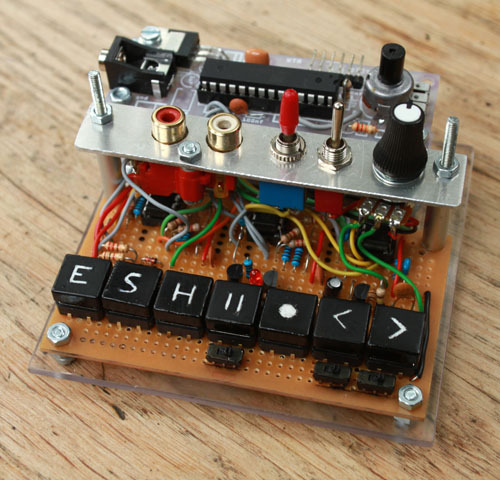 Wonderful Arduino video sampler from [giekes.nl] (At the moment in its 1 bit / 1 and half bit stage) . The project is based over [TVout] library, [Video in on TVout] and [Ram library and 23k256 circuit]. Amazing job. If you dig the 8-bit style colourful site you’ll discover several other video oddities based on Arduino (or at least Atmega328), well explained and referenced by the [Gijs Gieskes].